SecurityStockWatch.com: Thank you for joining us today, Andy. Please give us an overview of your background and your role with AuthenTec. Andrew Germano: I am the wireless segment manager for AuthenTec. This means that I lead the business development, marketing, sales support and program management functions for AuthenTec’s wireless business working with the world’s leading mobile handset manufacturers to incorporate our biometric fingerprint sensors and software applications into their products. Last year we had a 95% market share in biometric fingerprint sensor designs in mobile phones having shipped over 7 million units into the wireless market to date and more than 20 million sensors overall. SecurityStockWatch.com: One will read on AuthenTec.com that, “Each AuthenTec sensor is based on the company's patented TruePrint® technology, the only technology in production that reads below the surface of the skin to the live layer, where the true fingerprint resides. This advanced technology enables numerous Power of Touch features such as biometric security, convenience, navigation, and personalization via a person’s fingerprint. “ Please give us an overview of AuthenTec’s technology and competitive advantages. Andrew Germano: TruePrint is AuthenTec’s patented technology to read a person’s fingerprint from below the surface of the skin, and it’s what sets AuthenTec sensors apart from all other surface based solutions, such as optical and capacitive sensors, currently on the market. TruePrint technology leverages low power radio frequency signals to detect fingerprint ridge and valley patterns beneath the skin’s surface within the live layer of skin, which is where we say the ‘true fingerprint’ is formed. Because we are not reading the print from the surface of the skin, AuthenTec sensors are less affected by skin surface conditions such as those common to dry, worn, dirty, or oily fingers. That in effect allows AuthenTec sensors to read virtually everyone’s fingerprint, every time. Being able to accurately read someone’s fingerprint every time means AuthenTec’s sensors are more secure and convenient to use – the two most important factors for the average end user of a fingerprint sensor. SecurityStockWatch.com: Congratulations on the recent announcement that AuthenTec “shipped its 20 millionth fingerprint sensor, an industry record. The milestone shipment was made during a record-setting July in which AuthenTec shipped over a million sensors, more than any other month in the company’s history.” Andy what are your key target markets and what is your perspective on the market drivers for AuthenTec solutions at this time? 1. The current environment of a society relying on increasingly powerful mobile devices. 2. Prevalent security and privacy concerns stemming from, amongst other things, ID theft and high profile corporate and government data breaches. 3. Insecure and inconvenient solutions, such as having to remember dozens of passwords or needing to constantly carry multiple security tokens and smartcards. Fingerprint biometrics addresses the above needs by providing a method of convenient security for mobile electronic devices. Your fingerprint can never be forgotten and it is always with you, it will never be accidentally left at home and it is more secure than conventional passwords in use today. The widespread market adoption of fingerprint sensors in notebook computers and mobile phones has led to numerous other opportunities during the last few years, such as access control (home and business door locks), time & attendance tracking, and various peripheral devices such as hard drives and memory keys. We are starting to see mainstream adoption beyond our two core markets as consumers demand more convenient security solutions and are becoming comfortable using fingerprint biometrics. SecurityStockWatch.com: Please tell us about a “win” or two in each of your three key markets: PCs and Peripherals, Wireless Devices, and Access Control. AuthenTec recently announced that its AES1510 fingerprint sensor was selected by JRC (Japan Radio Company) for its newest mobile phone introduction, the WX321J for WILLCOM. This was the first candy-bar style phone to use an AuthenTec fingerprint sensor with our advanced durability coatings. The fingerprint sensor is also used as an input device for menu navigation and mobile Web browsing. The WX321J is being marketed by WILLCOM and has received enthusiastic consumer interest. The AuthenTec Biometric Fingerprint sensor, featuring TruePrint technology, is seamlessly integrated onto the front surface of this sleek phone for convenient user authentication. In this position, users can also smoothly and accurately browse through phone menus and lengthy contact lists using the navigation capabilities of the sensor. Since the WX321J is a ‘candy bar’ style phone, durability was an important consideration in choosing an AuthenTec sensor. The AES1510 is expressly designed to endure normal wear and tear associated with this exposed configuration, including minor bumps and scratches that are commonly caused by coins, keys and other objects. Biometric cell phones are widely used in Asia for M-commerce, online banking and for securing the device in the event of loss or theft. For instance, in Japan, users can purchase items from more than 100,000 stores and vending machines and enjoy convenient and secure access to mass transit and sporting events, all via their mobile phone. AuthenTec recently announced that its fingerprint sensors are being integrated into the new Fujitsu LifeBook® U810, the world’s smallest convertible tablet PC. The AES2501B was chosen by Fujitsu for its security, accuracy, and Power of Touch features. This Microsoft Windows Vista®-enabled mini convertible notebook is the latest in a growing number of mini-notebooks that rely on AuthenTec sensors to greatly reduce the risk of compromised data in the event the PC is lost, stolen or left unattended. Not only can a user’s fingerprint prevent unauthorized access and replace cumbersome password logins, the sensor also helps personalize the notebook, as different applications can be set to quickly launch at the touch of an assigned fingerprint. AuthenTec sensors are being integrated into new biometric door locks for the consumer market which just hit the store shelves in June. These new fingerprint-enabled door locks are being marketed under a couple of Black & Decker brand names, Kwikset and Weiser Lock, and replace traditional keyed door locks with a product that uses a homeowner’s fingerprint to unlock a door. These new locks, dubbed the SmartScan and Biolock, use AuthenTec’s AES2510 slide fingerprint sensor and can be programmed to store up to 50 different users. The door locks can also be setup to allow access to certain people only during certain days or specific times of the day. These products bring the power of AuthenTec’s TruePrint technology right to the front door! SecurityStockWatch.com: We understand that you will be speaking at the Advanced Identification Systems - Commercial Biometrics 2007 Conference. May we have an overview of the main subjects you’ll be discussing? Andrew Germano: I will be speaking about the importance of security in mobile devices used for m-commerce and enterprise applications. With the significant risk of mobile device loss or theft, recent studies have shown that a high percentage of the population, from Corporate Chief Information Officers (CIO’s) to average consumers, are concerned with the potential loss of confidential and personal information that is stored on their mobile phones. I will be detailing the problem and sharing some of the market studies that have been completed to characterize these issues. I will also offer a few use case scenarios to describe real world solutions to the problems and concerns that would slow the acceptance and use of mobile data and applications including mobile banking and mobile commerce. Finally, I will offer a vision of the future for these types of advanced identification systems including biometric fingerprint sensors. SecurityStockWatch.com: Are there any particular strategic relationships that you’d like to mention? Andrew Germano: Recently we have been working with a company called Softex. This is a strategic relationship for us in both the PC and Wireless markets. As AuthenTec is primarily a fabless semiconductor company, we have built a significant eco-system to add additional value to our products by way of unique applications. Softex is an excellent example of this. Many of our customers have licensed Softex’s Omnipass software for their devices to provide an integrated, easy to use password replacement system to access their computer and secured websites with just the swipe of a finger. When a user goes to the device or web page they want to access, the Omnipass application recognizes this as a pre-registered secure area. The user simply slides their finger across the AuthenTec fingerprint sensor and the software automatically authenticates the fingerprint and grants access to the secured application. Softex leverages AuthenTec’s TruePrint technology to eliminate the need for remembering the litany of user names and passwords most people encounter on a daily basis. Studies have shown that millions of dollars are spent each year by IT departments just for resetting lost and forgotten passwords. The Softex application is a secure, convenient software application that compliments the AuthenTec biometric fingerprint sensors for both PCs and wireless handsets. SecurityStockWatch.com: What resources such as webinars, “white papers” and “case studies” are available for developers, distributors and end-users at AuthenTec.com? Andrew Germano: You can find a lot of very useful information on our website including an overview of biometrics, more details on AuthenTec’s TruePrint technology, FAQs, a glossary of biometric terms, and a few whitepapers. Additional information on AuthenTec’s products and solution kits for developers or potential customers is available upon request. Please visit www.authentec.com for more information. SecurityStockWatch.com: Thanks again for joining us today, Andy,. Are there any other subjects you’d like to discuss? 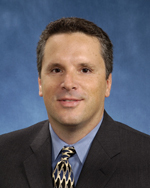 Andrew Germano: Thank you for your time, and for allowing me to discuss AuthenTec technology and our markets. In conclusion, we feel that there is a tremendous potential for AuthenTec technology to make an impact in the lives of just about everyone – from security conscious IT administrators concerned about a corporate data breach to the average teenager who just wants to keep their cell phone text messages safe from prying eyes.